Englands sits on the edge of a technological revolution and the brink of war in this thrilling historical novel set in London in 1915. 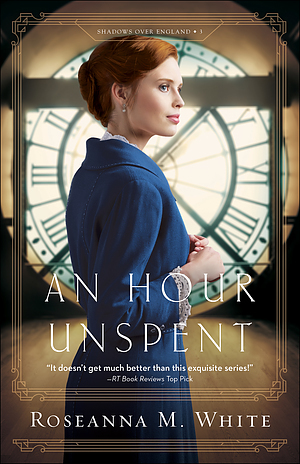 An ex-thief and a clock maker are forced into a race against time in 1915 London. An Hour Unspent by Roseanna M. White was published by Bethany House in October 2018 and is our 7273rd best seller. The ISBN for An Hour Unspent is 9780764219283. Be the first to review An Hour Unspent! Got a question? No problem! Just click here to ask us about An Hour Unspent.